There have been whispers in the pipes of PCGamesN Towers about Metro Redux these last few months. Murmurs that it was anything but a new-console cash-in. Suggestions that it might even become a benchmark game for players wanting to break in a new PC. There are certainly some astonishing images in the collection’s launch trailer – alternately beautiful and horrible first-person vignettes and action scenes pulled from two of the strongest shooters in recent PC memory. Enjoy. Fans initially disputed the pricing of Metro Redux, suggesting its upgrades for Metro 2033 and Last Light might better have been given away for free. But 4A have significantly updated their in-house engine, adding global illumination, terrain tessellation and “numerous” performance enhancements for both games. Metro 2033 in particular has been completely re-built to take advantage of Last Light’s framework. “Almost the entire team of around 80 people at 4A Games will have been working on the Metro Redux titles for almost a year by the time we release next month,” wrote a Deep Silver community manager. “It has been a substantial project for the studio. 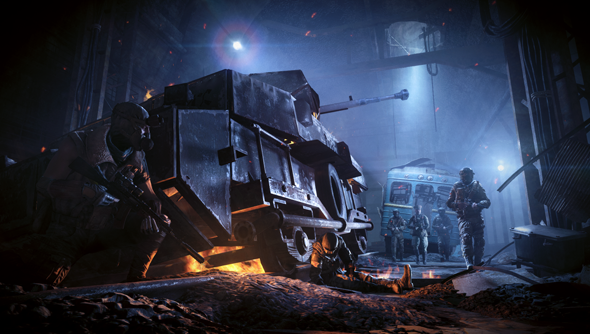 Metro Redux is due Friday, August 29 in Europe and already out in the US. Which way will you swing in the purse-poll?